Dark Mofo is back and, just in case you thought last years bull slaughtering antics were pushing the envelope, along comes the ultimate in (supposed) evil with the waterfront recently displaying three inverted crosses. Standing silent vigil over the city and glowing red by night, they seem to exude both a warning and illicit temptation in equal parts. Yep, Dark Mofo is definitely upon us! At Spirit People, we feel responsible for vanquishing onerous thoughts and calming the aftermath of confrontation. After all, we have the ultimate tool…epic spirits! For the past few months we have been quietly working on our biggest venture to date and we’ve pulled in a few likeminded collaborators to really heat things up. We want to give you a place to harbour. A smorgasbord of cocktails to warm the wintery depths of your belly. A social experience to thrash out and digest the installations and events that will descend on Hobart in the coming weeks. 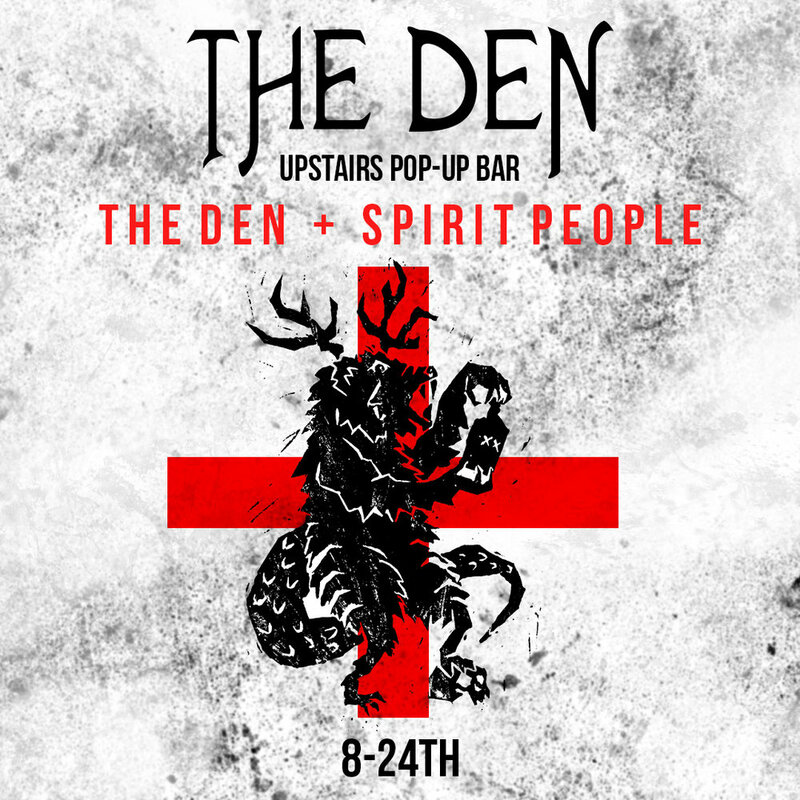 Our first partner in crime is none other than The Den. Offering the ultimate location down on Hobart's waterfront, this venue is a launching pad for jumping on the ferry across to MONA, wandering the Night Mass, or the ultimate in afterparty destinations. The Den will be the place to be. What goes on behind the walls of The Den during Dark Mofo, stays well and truly within the walls of The Den during Dark Mofo. Joining us at The Den will be the incredible talent behind Melbourne’s Fancy Free Bar. For those who haven’t heard, the Fancy Free team consists of a quartet of Black Pearl alumni. Chris Hystead-Adams, Rob Libecans, Matthew Stirling and Ryan Norieks will bring their unrivaled knowledge and experience to mix some sublime cocktails during a pop up within the pop up on 15th and 16th of June. On 21st June we will be welcoming another inspiring connoisseur of all those cocktail staples that are often overlooked of notably absent from a bar. Nick Tesar from Marionette Liqueurs will run us through our paces using some of their stellar line up of local products that will be injected into the cocktails throughout the evening.